Video editors help you edit and add special effects on your videos. If you are looking for the best video editing app for iPad or iPhone, this article can suggest you some top #video editors which can be used to edit your videos easily on your iDevice. Here is a list of the best video editing apps for iPad & iPhone. 1. Pinnacle Studio ( #iPhone & iPad ) – Pinnacle Studio is a fully functional professional video editing app for iPad which comes with tons of features. 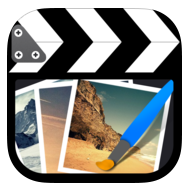 You can make your own movie like professionals by using this great app. Pinnacle Studio allows you to edit your videos, photos and audios easily & quickly. This professional movie editing app has very easy user interface with lots of video editing options. Pinnacle Studio is an advance video editing app that comes with many useful tools such as- beautiful media organizer, movie editor and enhancer, sound effects , voice-over option to add documentary style narration , social sharing feature etc. Expensive but recommended video editor for professional & creative iPad users. 2. iMovie ( iPhone & iPad) – One of the best video editors for iPad, that lets you create beautiful HD movie anywhere with your iPad. The app lets users play & browse movies easily on their iOS devices, make Hollywood style trailers or home made movies and share created movies on Facebook, YouTube, Vimeo and CNN iReport. 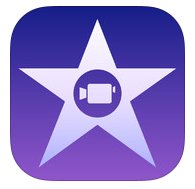 iMovie comes with lots of features that can help you to create your movie within few minutes. Some of main features of this app:- you can tap to add photos, videos and sound effects, drag to trim movie length, build Hollywood style movie trailers using 14 trailers with beautiful graphics, customized movies studio logos and credits. unique themes. Great movie making app for iPad. 3. Vivavideo Pro ( iPhone Only ) – VivaVideo Pro is a premium video editing app that comes with tons of features without watermark & length limitation. You can also try free version of VivaVideo but free version comes with watermark and video length limitation, so we’ve listed here pro version of VivaVideo app. One of the best video editing apps on the Appstore and it has lots of professional video editing features which can be added easily to your video clips. This app includes video collage maker tool, animated video stickers & effects, video maker tool from photos, slideshows, visual effects, music editing option, video editing option and many other features. Recommended app for creative users. 4. Cute CUT Pro ( iPhone & iPad ) – Cute CUT Pro is a fully functional video editing app for iPhone & iPad that lets you edit, retouch , draw & add special effects to your movies. One of the best video editing apps on the Appstore. Cute CUT Pro has many features with easy to use video editing options such as drag & drop media files to edit movies, generate unique videos, more than 30 drawing tools for your video clips, PIP ( Picture In Picture ) effect option, a set of advanced video editing tools & some more features. Very useful video editor for iPhone & iPad. 5. 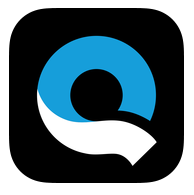 Quick Video Editor ( iPhone & iPad ) – Replay is a great universal video editor for Instagram that lets you create stunning videos and share your videos with your Instagram friends. Replay comes with tons of useful video editing features and helps you make professional videos from your iPhone or iPad. The app includes many functions such as video effects, video themes, video trimmer, both video formats square and cinema , music, text tools, and many more. Great app for creative users. 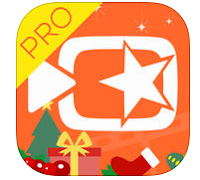 Great free video editor for iPhone & iPad users. 6. 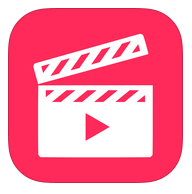 Filmmaker Pro Video Editor ( iPhone & iPad )- One of the best free video editing apps on the Appstore which can be used to edit your videos easily on your iPhone or iPad. Filmmaker Pro includes many features which are – 4k video editing support, video project manager, 15 types of video transitions, 30+ video filters, video effects, video editing tools, audio tracks, text overlay with 186+ fonts & 8 animated text , 130 + illustrations and fully featured video recording tool. Very useful app that can be downloaded to your device free of cost.